Augsburg University is committed to ensuring that all students, staff, faculty, and visitors have access to safe, usable restrooms on campus. 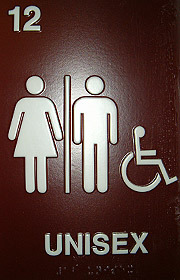 Below is a listing of all-gender restrooms on the Augsburg University campus in Minneapolis. In addition to those listed below, there are ongoing efforts to increase the number of all-gender restrooms. A campus map with restrooms can be found here.